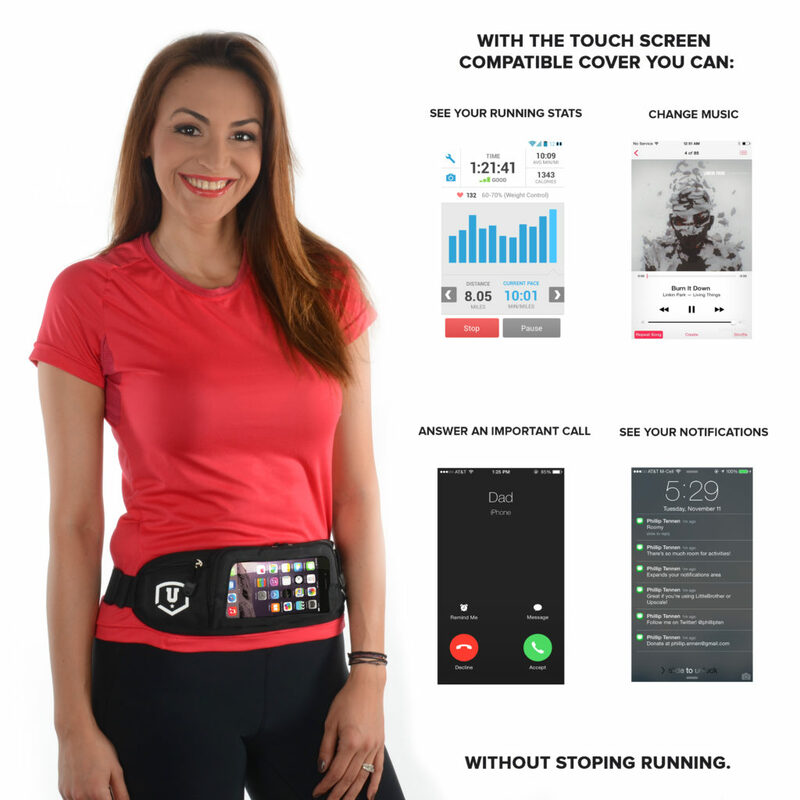 Last week, I received a Running Belt from Urban Active Sports for try out and review. It has multiple pockets for your keys, money, ID, and credit cards. It also has a pocket with a clear front that allows you to use your cell phone. It also comes with two free gifts: Urban Runner’s Survival Guide Ebook and a set of elastic laces. My mom recently signed over her gym membership over to me and I hadn’t been yet at the time I received the running belt. I really needed something I could put my phone and stuff in that wasn’t super bulky and wouldn’t get in the way while I was using the machines. This belt totally fits the bill. I was able to put my phone in the very front pocket, and toss in my ID, some cash, and a debit card with plenty of room left over. I didn’t have anything to put in the small side pockets. The key pocket is more for sliding in a house key, so my car keys didn’t fit…but that was ok since the gym has key hooks. The belt fit easily around my waist and I wore it under my baggy over shirt. You couldn’t even see it. It stayed put, not sliding around, and didn’t dig into me or get in the way of anything while I worked out. Overall, this is an awesome belt. It’s perfect for running, going the gym, or even traveling. It’s very high quality and affordable. It’s available on Amazon for $12.95 (+ shipping). Last updated by Angela Rogers at June 21, 2016 .